In the hit movie Frozen, Elsa is known as a girl who can freeze the world, but just doesn’t know how to control her powers. This new clip, made by BloodBlitz Comedy, shows how things would have been if she was actually a villain in the film the way that they had originally planned for her to be. This shocking version of Elsa has her shooting ice, pushing her sister off the bed and doing everything that she can to cause problems. This is no accident, but instead an evil version of the Frozen princess that everyone loves so much. Luckily, this is just a fun trailer made for enjoyment and not the way that Disney chose to do the movie. 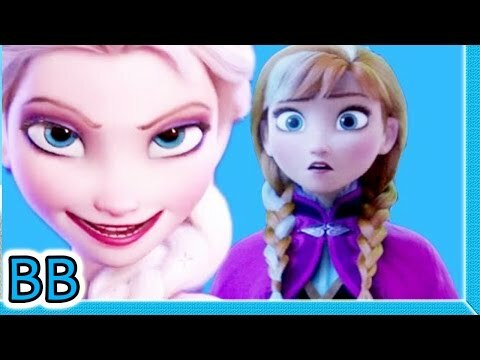 Frozen with Elsa as a villain is something that most parents would never allow their children to watch and of course they wouldn’t want to anyway.